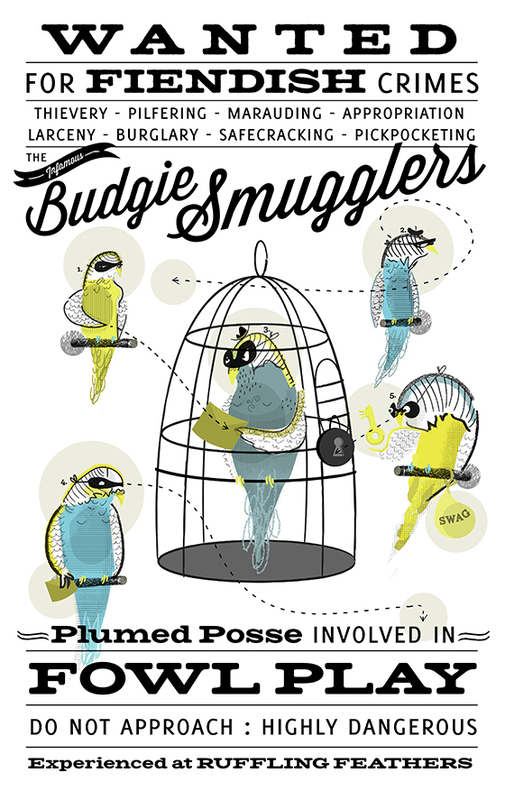 This print grew from amusement at the unfortunate phrase ‘budgie smugglers’ to imagine just what a band of smuggling budgies might look like. This group of hardened avian criminals have been seriously busy, getting up to all sorts of sneaky activities…. You can buy one of 50 giclee prints here.